and intuitive home control solutions. Our customer reviews are second to none. You can read them below. We install it for you at no extra cost. We can supply and install these for your project. Couldn't be happier with our new projector setup. Richard was very helpful and prompt throughout the process and extremely knowledgeable. Gave excellent advice and installation was done in only 2 days. Wouldn't hesitate to recommend to all my family and friends! I have an existing home entertainment system (Opus Octopus) that had develop faults but the original manufacturer appears to have gone out of business. UK Home Cinemas did a great job of fault finding and got the system working again at a very reasonable price. I then decided to update the system with a new AVR unit, so I can now control the system via an app on my phone and stream music, which I couldn't do previously. I also decided to upgrade the speakers in one of the rooms and all that work was completed to a high standard. No complaints and very satisfied with the outcome. 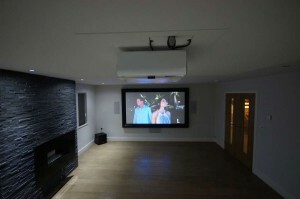 We had a long running project and UK Home Cinema were super flexible with our constantly changing requirements. Could not be happier with the service and the fit of the final product. I can't rate Richard highly enough. Having decided to create a home cinema in our lounge I searched the net for numerous companies for quotes. The UK Home Cinemas website was the most informative I came across, particularly the ready made package solutions which provided a good idea on total cost. Richard was very responsive and helpful during our first call spending over an hour discussing the various options available to me. I visited his 'show lounge' to get an idea of what it would all look like and again he took a considerable amount of time to help me decided what I wanted taking into account my budget and priorities. Unfortunately our renovations then took longer than expected but he worked with my builders to ensure the cables and power points etc... were positioned properly. As the cost of the renovations increased I had to make some changes to our cinema and again, Richard was completely fine, helping me to save money with as little impact on the finished product as possible. I can imagine other installers would have grumbled but definitely not the case here! We finally finished the install in Jan 2015 and I'm a very happy customer. During the actual installation Richard was very considerate of our new home, keeping disruption to a minimum and always ensuring the spaces he worked in were kept as clean and tidy as when he started. There were some issues as I increased the screen size during the install (again dealt with very helpfully without any problems) which required some cutting into the wall. This was filled and made good and you can't even notice now it's painted over. It is very apparent that Richard is an A/V tech buff, takes great pride in his work and has no hesitation in explaining things in an easy to understand manner. I wouldn't hesitate to recommend to anyone, indeed I've already referred two friends who are in the process of buying houses to get in touch with him. Bespoke audiovisual systems for your home, tailored to your exact requirements. Pre-designed systems which give you maximum performance & features for your budget. Everything controlled from your iPad or other touch screen device, with control pages which we design. UK Home Cinemas provides bespoke home cinema installation in Berkshire, Surrey, London, Hampshire and throughout the UK as well as Multi room music and control. We strive to deliver the best solution for any budget. UK Home Cinemas Achieves this by recommending class leading products which provide the best performance and features for the task. We can combine these with a user friendly intuitive touch screen control system so that everything can be controlled seamlessly, either from your ipad, your iphone, or from a dedicated colour touch screen remote control to make operating your home cinema installation or multi-room music system a breeze. UK Home Cinemas Packages – Multi Room Audio & Home Cinema Installation in Berkshire, Surrey , London and the UK. UK Home Cinemas – Berkshire have developed a number of pre-designed system packages for home cinema installation, and multi room music. The design work and control system programming for these has already been done, because of this we are able to roll them out more quickly than a fully bespoke system and we think that that they represent particularly good value for money. 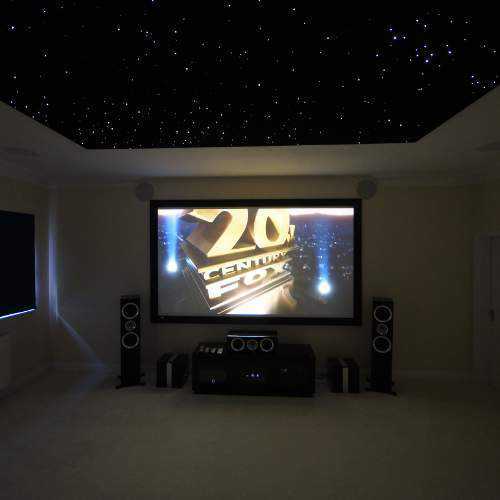 UK Home Cinemas installs system packages in Surrey, London and Hampshire and Oxfordshire as well as all other regions of the UK. UK Home Cinemas Berkshire can provide design and installation for a fully bespoke control system for your home, tailored to your exact requirements. This can control your lighting, your existing heating, motorised blinds, TVs around your home and multi room music ,Your as well as your home cinema installation. In fact UK Home Cinemas can make it control almost any equipment you already have and anything which you would like us to install for you. We can install throughout the south east, the south west and all regions of the UK. At UK Home cinemas we don’t use pressure selling techniques, so why not give us a call for a chat, or to arrange to see our Cinematic Lounge demonstration system.